For some people, shopping is a hobby. For others, it’s a curse. When we do our shopping, we often waste precious minutes searching for all the items we’ve got on our shopping list or standing in line to check out, not to mention that sometimes the sale assistant may not be the nicest person on earth. Thankfully, there is an alternative to all that which is actually cheaper that the traditional retail shopping. Online shopping saves you the hustle and bustle of holiday shopping, online stores are open 24/7, and reviews help you decide whether a particular product is worth your money or not. If you’re an online shopping fan or you just discovered this shopping method, you should also check out Google Chrome’s Honey extension. This tool automatically finds and applies coupon codes when you shop online, helping you get the best possible price for the items you want to buy. 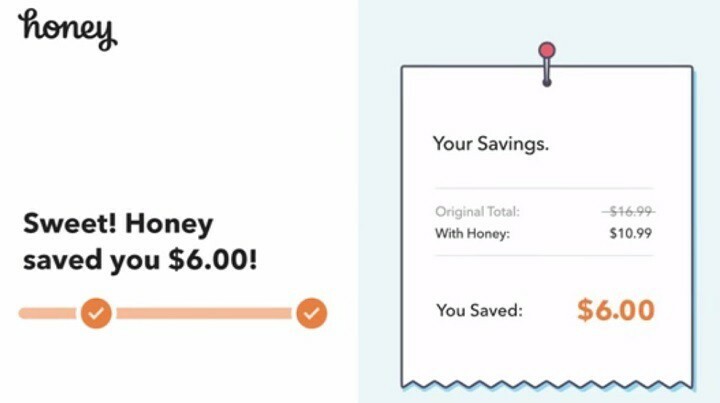 With Honey, you no longer need to desperately search for coupon codes and sales: this tool does it for you. All you need to do is click on the Honey button on checkout and the extension will automatically apply coupon codes to your shopping cart. Honey currently supports shopping sites in the United States, Canada, Australia, United Kingdom and India. You can also use it on sites that serve global customers. Thanks to Honey, you can save hundreds of dollars every year. For more information about the full list of websites Honey supports, you can check out the tool’s official webpage. Honey is also compatible with Mozilla Firefox and Opera, two other popular browsers among Windows 10 users. It is worth mentioning that Honey uses Google Analytics to collect extension usage statistics. You can download Honey for free from the Chrome Web Store.